Life. Yoga. Art. Kansas City. 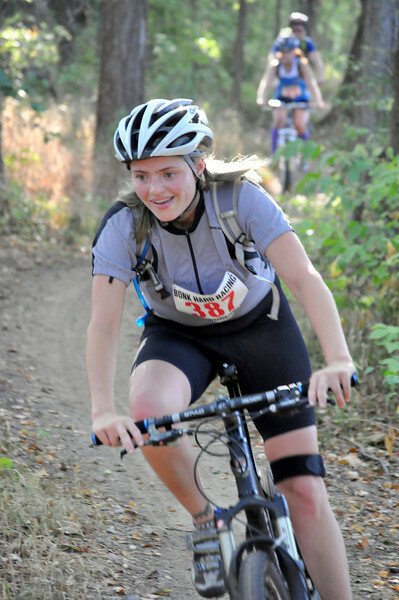 My first Adventure Race! We had a blast at the Wakarusa Off-Road Challenge. Being raised near the foothills out in Colorado definitely gives one a tomboy streak. Whether I’m on a mountain bike trail, climbing a sport route in Arkansas, running or aiming for a nice, long road bike adventure, chances are you’ll fine me outdoors. I am in it for the adventure–I very rarely care where or how I end up getting somewhere or if we ever do reach the “somewhere” we were aiming for; it’s the journey that I enjoy. I grew up with a very stable foundation and while I’m grateful for it, I believe that it is part of what fuels my desire to get out, vagabond around for a while and always be on the hunt for new territory. That being said, a sense of home and place is important for me. Right now, I’ve set down some roots in the Midwest and I’m exploring my current city of Kansas City. I am a visual artist and my “journey first, destination second” mentality comes across in the artwork that I make and that I enjoy. I am a process-oriented artist-I love to knit, draw, paint and explore mediums that let me caught up in the making. In my attempts to balance my work with forethought and planning I have settled on a sort of meditate-as-you-go mentality. I find that if I pour myself into the emotion, idea, image and experience that I”m trying to convey that it works better than if I sit down with a concrete plan in mind. This blog is my documentation, commentary and sharing of all the wonderful things in my city and in life that I find, create, stumble upon and learn from others. I am still finding myself through this city and my environment and I hope that you enjoy reading about the journey!